WASHINGTON — The Federal Aviation Administration has named an Air Force general who previously ran the launch facilities at Cape Canaveral as the new head of its commercial space office. The FAA announced Nov. 29 that Wayne Monteith will become the next associate administrator for commercial space transportation, effective Jan. 20. 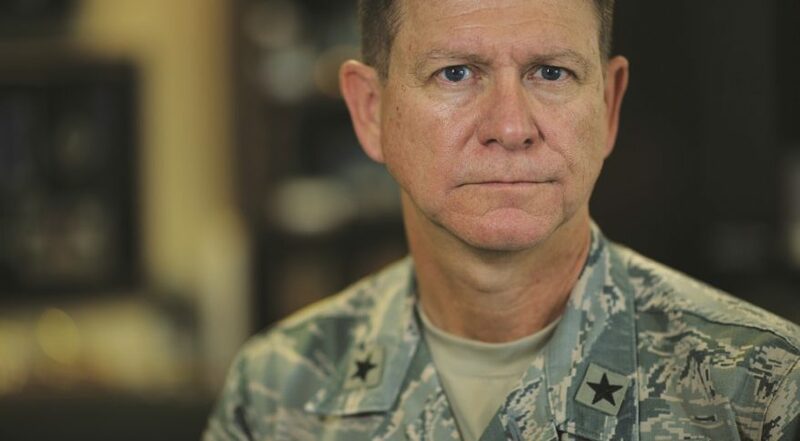 Monteith is an Air Force brigadier general who will formally retire from the service Dec. 1. Monteith had served, from August 2015 until this past August, as commander of the 45th Space Wing, responsible for operations of the Eastern Range that supports launches from Cape Canaveral. During his time leading the 45th Space Wing, Monteith led efforts to improve operations at the Eastern Range to address growing launch demand. Those efforts were known as “Drive for 48,” so named because of the goal set by Monteith of supporting 48 launches a year: one per week, with a pair of two-week maintenance periods. In an interview earlier this year while still commanding the wing, he described as a “second renaissance of space” the resurgence in launch activities at the Cape. “When people say the space business is down, they’re not spending much time down here where I have four launches in a month,” he said. At the FAA, Monteith will lead the Office of Commercial Space Transportation, known as AST, which is responsible for licensing commercial launches, reentries and spaceports to protect the safety of the uninvolved public. The office also has a responsibility to encourage, facilitate and promote the U.S. commercial space transportation industry. Mike Gold, chairman of the Commercial Space Transportation Advisory Committee (COMSTAC), said in a Nov. 29 interview that he was “excited” about Monteith leading the office. “He will provide the strong leadership that is required, and we look forward to working with him during this extraordinary and exciting time to take advantage of the opportunities and overcome the challenges that the commercial space industry faces,” he said. Monteith succeeds George Nield, who led the office for nearly a decade before retiring from the FAA in March. AST has been led on an interim basis since then by Kelvin Coleman. Monteith will take over AST just as the office is wrapping up one of its most ambitious regulatory efforts in recent history, a draft set of rules intended to streamline the launch licensing process. Space Policy Directive 2, signed by President Trump in May, directs the Department of Transportation, through the FAA, to publish a notice of proposed rulemaking by Feb. 1. At an Oct. 31 meeting of COMSTAC, Coleman said the FAA planned to meet that deadline, despite concerns from some members that the agency was moving too quickly and not giving enough opportunity for industry to provide input. “We’re on track, and we’re working hard to stay on track, with only three very short months to go before we publish the proposed rule,” he said.